Hydra Facial is the latest form of facial that can solve many problems. It is suitable for all skin types, and it takes less than 30 minutes to perform it. The procedure is simple to perform and comprises of four simple steps. Hydra Facial is the unique serum delivery system that places it into a category of its own. Every single day, the skin is exposed to many harmful elements. It is necessary to keep cleansing the skin regularly to remove the oils, bacteria, and the dead skin cells. The facials are designed by skin care experts to cleanse the skin. Hydra Facial is a new and effective way to cleanse the skin. Dermatologists use it to treat many skin problems. The HydraFacial treatment in Dubai is safe. There is no downtime involved. The patient experiences no pain. The handheld Hydra Facial Treatment Dubai & Abu Dhabi Device is used to perform it. Hydra Facial is suitable for most of people. In fact, it can be taken by anyone. There are some prerequisites to get the best out of it. Mean to say; if your skin is suffering from an issue, you can take it. It is beneficial for all skin types and colors. It is a multi-step treatment where the skin is cleansed, exfoliated and extracted to get rid of impurities and dead skin cells. Hydra Facial quenches skin with vital nutrients like antioxidants, peptides and hyaluronic acid. The amazing results are both instant and long-lasting. 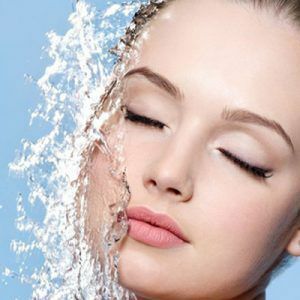 Th Aim of HydraFacial Treatment Dubai? The HydraFacial treatment Dubai & Abu Dhabi is performed by using a smart handheld device. The following four steps are required to finish it. Step 1: In the start, the treatment area is cleaned to remove, the makeup, dirt, and germs. Step 2: In the second step of the procedure, the skin is steamed to open the pores. Step 3: The pores are unclogged, and the impurities in are extracted through the pores. Step 4: A hydrating mask is applied to keep the skin glowing and hydrated. This mask stays for another 30 minutes before it is removed and the skin is cleansed. It is not difficult to prepare for this treatment. Just try to use quality skincare products and avoid low standard products. When you go out during the day, do not forget to wear the sunscreen of relevant sun protection factor (SPF). To get the best possible results, you will have to take care of the skin after the treatment. Use quality skincare products and avoid low standard products. When you go out during the day, do not forget to wear the sunscreen of relevant sun protection factor (SPF). The cost of Hydra Facial varies from person to person. It is used to cure many skin problems. So the cost depends on the nature of the problem. The cost also depends on the level of expertise of the professional. If you want to know the exact cost of Hydra Facial in your case, please book a consultation. If you are interested in Hydra Facial Treatment in Dubai & Abu Dhabi, please let us know by dialling our number or by filling the online form. So do not miss out and get in touch with us now. We offer a free online consultation to address your questions and educate you about the treatment. We are offering 25% off on Hydra Facial for a limited time. Take advantage of this wonderful offer before it expires. You can win a free online consultation and discount by calling us or by filing the short online form. You Don't want to Miss Our Offer on Hydrafacial Treatment Dubai . Fill in The Form To Avail Our Special Offer For You!